Decisions of Daring Achievers was not what I expected, I had envisioned a book with definitive answers on decision making and asking questions. As I continued to read through the pages I realized this book was so much more, its graceful in its antidotes, Philip shares great case studies and displays magnificent examples of decision making at its best, Philip's personality, humour and intellect transmits almost seamlessly from his writing especially in the epilogue. 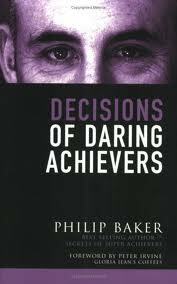 Philip Baker takes us on a journey of discovery, he starts by introducing the decision making process and gives us examples of each type of decisions, from what am i'm having for breakfast al the way up to wedding vows. After the scene's set philip makes it easy for us to understand his Ideas and concept's and delves deeper into the decision making process and provides great real life examples of times when people have made difficult and daring decisions. We make thousands of decisions every day, some are more productive than others, by not making a decision we have already decided, by putting off making a decision, time never stops and the longer we wait the more the tides can change to lesson in our favour, the more choices we make the better we are at making them and the more productive focused and driven we are when fulfilling them. The lesson I favor the most is when we put of making a decision the time in between the conceiving and the deciding can alter the outcome, the longer we wait and put it off, the more this has to change the context or circumstances that the decision was made on. It was also great to refresh myself on the process of making decisions on a regular basis strengthening the decision making muscle and becoming more productive. 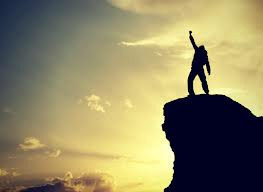 Everyone, you don't have to be a Supreme Judge or the CEO of a multibillion dollar corporation for your decisions to be important, Its obvious that we make decisions everyday and I believe that the more informed we are on the decision making process the better our decisions will be and we'll be making ore and more. Back to So you Like to Read? or goto Main Blog. So you Like to Read? Why do we choose to Ignore our inactions? Who Are We ? What Are We About? What Defines Us? Why Should We Make Ourselves Uncomfortable? Why should I Make A To-Do List?